"We are liars. We are beautiful and privileged. We are cracked and broken." 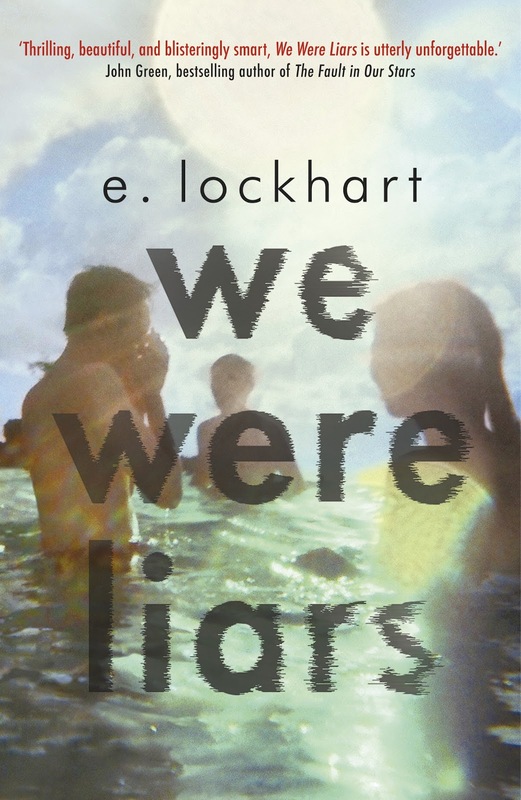 We Were Liars is a young adult novel written by E. Lockhart, the author of the Ruby Oliver series and The Disreputable History of Frankie Landau-Banks. Set in the present day on a private island near Martha's Vineyard, the book focuses on seventeen-year-old Cadence Sinclair, ringleader of a group of teenagers who wander the island and its beaches during their annual summer vacations. As the novel begins, the biggest concern in Cadence's life is her one-time summer fling with a boy named Gat that took place two summers previously. Though the island summers are a tradition, last year Cadence traveled throughout Europe with her father and is now hoping to see Gat again and find out why he cut ties with her so abruptly. She's heartbroken and spends most of her time hanging out with her cousins and good friends while complaining about her grandfather (who owns the island), her helicopter mother (Cadence's parents are divorced), and her bickering and alcohol-swigging aunts whom she strongly dislikes. Cadence's real problem is the constant physical ailments she suffers from after sustaining head trauma during an accident two summers ago--the summer she fell in love with Gat. Cadence cannot remember the accident and it has left her with crippling headaches and partial amnesia. Worse, no one will tell her what happened--not her grandfather, parents, or "the liars" (Johnny, Gat, and Mirren) with whom Cadence spends her summers. Gat seems to want to pick up where he and Cadence left off two years ago which delights Cadence though she's frustrated by his unwillingness to talk honestly with her about what happened in the two years since she saw him last. [Spoiler paragraph:] Like Cadence questions at one point, I thought maybe she had been raped, Gat was the offender, and Cadence had blocked the trauma from her mind. I was wrong. Quite without warning about two-thirds into the book, the author drops in a some huge plot-altering details: (1) Gat is a Native American which matters because (2) Grandpa Sinclair is racist, (3) two summers ago Grandpa Sinclair told Gat in as many words that he was not welcome around Cadence nor the Sinclair family, (4) Cadence and "the liars" became infuriated at the elitist world around them (though, they're still a part of it) and vowed to act out (which they did) and bust the system (resulting in consequences far greater than they ever would have intended). These elements definitely heightened the plot's intensity, but they also occur suddenly and without much warning. The biggest shocker occurs just 10 or 15% from the book's end. I won't give the plot away here (post in the comments if you want me to tell you), but wow, I did not see it coming. Not at all. The mystery elements of the novel and the unexpected twists in the ending were what I enjoyed best. What did you think of We Were Liars? Have you read any of E. Lockhart's other books? I've seen this book pop up as a fav for several other book lovers but haven't picked it up myself. This looks SO interesting. I'm hoping it isn't as predictable as thinking Gat did something horrible to Cadence which led to her memory loss. Good review! I will definitely be adding this to my TBR list :) I'm new to book blogging and have been loving meeting other book lovers. Hope we can connect!